Disney is interested in casting Emily Blunt as the female lead in their Jungle Cruise movie opposite Dwayne Johnson. Following in the footsteps of the Pirates of the Caribbean and The Haunted Mansion, Jungle Cruise is set to be the next tentpole based on a Disney Theme Park property, in this case the near-ubiquitous Adventureland attraction that takes patrons on a globe-trotting journey down several major rivers. The company has been trying to spin Jungle Cruise into a film franchise for well over a decade, with one version spluttering in the wake of Pirates' breakout success and another attaching Toy Story's Tom Hanks and Tim Allen as leads before it fell apart. Now, it's really happening, thanks in no small part to the presence of Dwayne Johnson in the lead role, with Jaume Collet-Serra (a veteran of four Liam Neeson actioners as well as Orphan and The Shallows) calling the shots. Thus far, The Rock has been the only talent attached to the project, but that could change soon. Screen Rant has learned that Disney is interested in Emily Blunt to play the female lead in Jungle Cruise. Her character would be a scientist who teams up with Johnson's riverboat captain on the hunt for a magical cure. This wouldn't be Blunt's first time working with Disney. Previously she played The Baker's Wife in Into The Woods and will take on the titular nanny in Mary Poppins Returns later this year, although Jungle Cruise would be her first non-musical for the Mouse House. 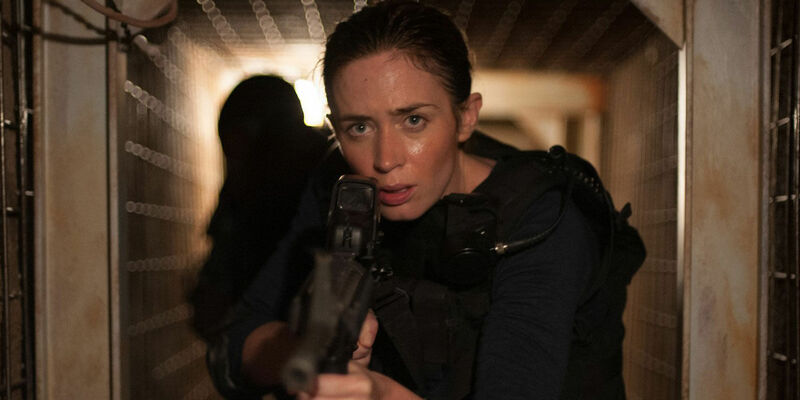 Not that she's ill-equipped for a Rock action movie; she's proven her physicality in a wide range of films, from time travel sci-fi Edge of Tomorrow to drug cartel thriller Sicario and long ago almost worked with Marvel Studios. She's already attached to a sequel to the former titled Live Die Repeat and Repeat, but Jungle Cruise would be a major franchise get for the actress. Indeed, the Jungle Cruise movie is set to be a big release for Disney, with Johnson having previously discussed hopes to start a Pirates-esque franchise and further inspiration taken from - like the Johnny Depp starring series - Indiana Jones. Given recent struggles with franchise-starters like the also theme-park inspired Tomorrowland, the company is surely hoping the Rock can work some of the magic that has recently made Jumanji a massive hit. While no official release date is set for Jungle Cruise, filming has been expected to start this spring, meaning more casting details are sure to arrive in the coming months.